I am constantly asked for a basic bundt recipe. Something that's easy to make and beginner friendly. 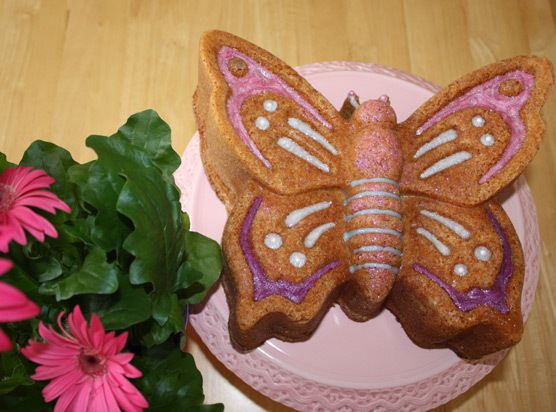 However, after mastering this one (and subsequently getting hooked on bundts) many people are eager to experiment. There are a lot of recipes out there which call for packet mixes or that give mixed results. My basic recipe works a dream every time. It tastes fantastic and releases from the tin without losing chunks! I do of course have lots of other recipes on my bundt page, but this is a good starting point. You have lots of choices here, ranging from a basic (but brilliant) vanilla bundt to the camp as you like glittery, all singing all prancing bundt bonanza! The hardest bit is finding the time to try them all! Use good quality, heavy duty tins. Grease and flour the tin really well. Use plenty of flour and tap the excess out over the sink. Spoon the mix into the tin rather than pour in one go. This gets it into the nooks and crannies! Push the mix to the edges and tease it up the sides. Never fill your tin more than 3/4 full. Always bake in the middle of the oven. If in doubt, Gas 3/165 C for at least 1 hour. If it’s not shrinking from the sides of the tin slightly, put it back in until it does. Extracts - coffee, almond, lemon, orange, strawberry, rose, mint etc. Add more or less depending on preference and strength. Spices - these are my favourite and can be changed to suit your own taste! 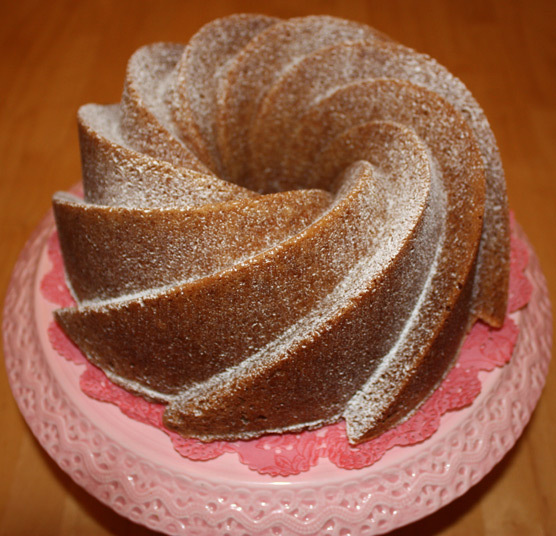 Cinnamon, nutmeg, mixed spice, ginger and cloves all work well in a bundt. Plants - yep, you can add things like seeds, lavender and herbs. I often use poppy seeds with citrus fruits, thyme with lemon and lavender with vanilla. Zests - lemon, orange, grapefruit and lime all give a bundt a lovely lift. Yogurt - you can swap the plain vanilla for any yogurt, or even a mixture of yogurt and something like jam, marmalade, honey or curd. Just keep the total volume the same. Just make sure your yogurt has enough flavour. I tend to find if you use a good quality yogurt you get much better results. If you want to reduce the fat content a little, use fat free. Additions - add 100-150g of chocolate chips, glace cherries, mixed peel, toffee chunks, dried or fresh fruit, chopped nuts etc. It's worth dusting these in flour first to stop them sinking to the bottom of the cake. The Tin - this recipe works in any sized tin. It's perfect for a standard size (10 cups/10 inch diameter/2.4 litre), but can be used in smaller ones too. Just make sure you don't fill more than 3/4 full. If your tins are much smaller, peep at them after 45 minutes. Colour - I often colour my bundts for a bit of fun! 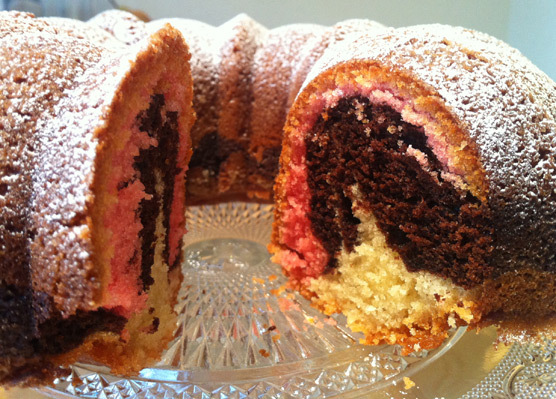 You can colour the entire cake, marble multiple colours or allow natural waves by not mixing the colour in fully. Topping - there's something quite pleasing about a bundt simply dusted in icing sugar, but you can really do whatever you fancy. Mix spices in with the icing sugar (I regularly mix cinnamon or ginger with mine), make a simple glace icing and drizzle over (coloured or plain, with or without an extract or zest), cover with frosting or in chocolate ganache. There are some recipes for these on my Bundts on the Brain page. You can even go wild with edible glitter, icing pens, sweets or coloured sprays. Flour - This is a bit of an update to my original post. My friend Vicki recently had to revert to a gluten free diet, so I investigated. I'd recommend swapping the plain flour for Dove's Farm gluten free plain flour. Works a treat. Just use slightly less intricate tins, as you lose a little of the sharpness on edges. Grease and flour your choice of tin - this is based on an average bundt tin of 10 cups/10 inch diameter or 2.4 litre capacity. Cream the butter and sugar until pale and fluffy. Add the eggs one at a time on a low setting. You'll see the mix get noticeably fluffier. In a separate bowl, measure out the flour, bicarbonate of soda and salt. Mix the yogurt and any zests or extracts together in a jug. Sift in 1/3 of the dry ingredients, followed by 1/2 of the liquid. Repeat until all the flour and liquid is used up. Fold it in gently... Over-mixing at this stage will make a dense cake and may cause air channels. This can ruin the shape of a decorative bundt. Add any additions such as chocolate chips etc. Give it all a quick mix on a low speed for about 10 seconds, or until smooth. Pour the mix into a greased and floured tin. Bake in the centre of the oven for about 1 hour 15 minutes or until a skewer comes out clean. It's stable from about an hour in if you want to check or turn it around. Leave the cake to cool for 10 minutes before removing from the tin. Serve with your choice of topping! Please feel free to browse the pictures on my Bundts on the Brain page or the entries on my National Bundt Day UK challenge. Make sure you enter yours if you make one! Bloggers: Please respect the fact I am sharing my own ideas and basic recipe. Blood, sweat and many tears have gone into getting this right, so you may enjoy a perfect bundt. If you wish to re-blog a recipe from these variations, please credit my blog and link to this original post rather than pasting the recipe on your own page. I don't have a bundt tin but a small scolloped one with a hole in so with try this and parr it down to fit as I have a load of yogurt to use up! Give it a whirl and report back! Very nice cakes that look tasty and crispy.Thanks for sharing. does this work dairy free with a soya or sunflower margarine instead of butter? Rachel can I use soy yogurt instead of a dairy one? My daughter is dairy free. In all honesty I've never tried! I have just discovered baking recently and the CCC, and have thus discovered your blog and am feeling inspired to try a bundt. Can you tell me please, are your oven temperatures for a non-fan?? ie. should I reduce the temperature slightly for a fan oven?? I don't want a burnt bundt lol! 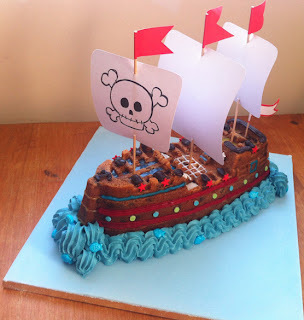 PS I too have an infant baking blog ... http://paulinesbakingadventures.blogspot.com - hope you'll visit! Clandestine Cake Club Bolton - Monster Mash!